Apex Wind Energy has released a map showing the locations of 16 proposed wind turbines in Piedmont in the hopes of providing some clarity amidst the controversial plan. “We never do this,” Apex development manager Kent Dougherty said about releasing a detailed map at this stage in development. Dougherty said Apex hopes to break ground on its $500 million wind farm project next year but the company does not typically release the locations of each wind turbine this early. 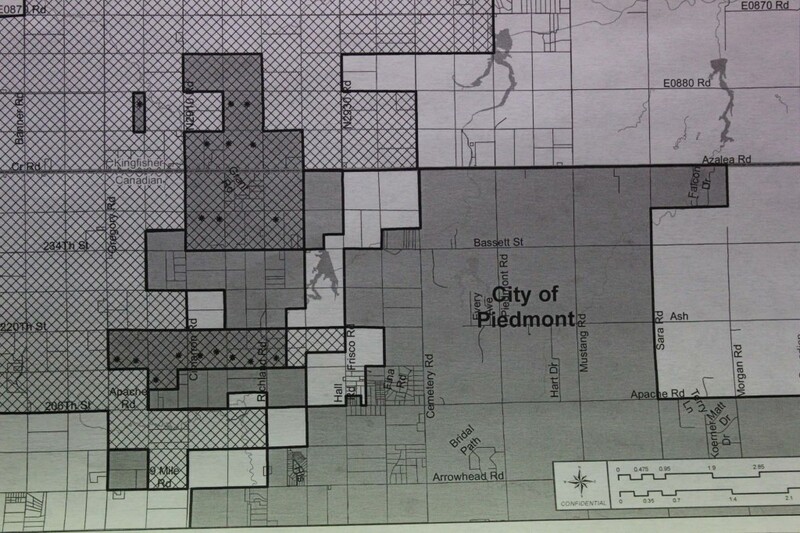 Dougherty provided the Piedmont Citizen with a map that indicated the placement of wind turbines with 16 black dots. The map is pictured above.